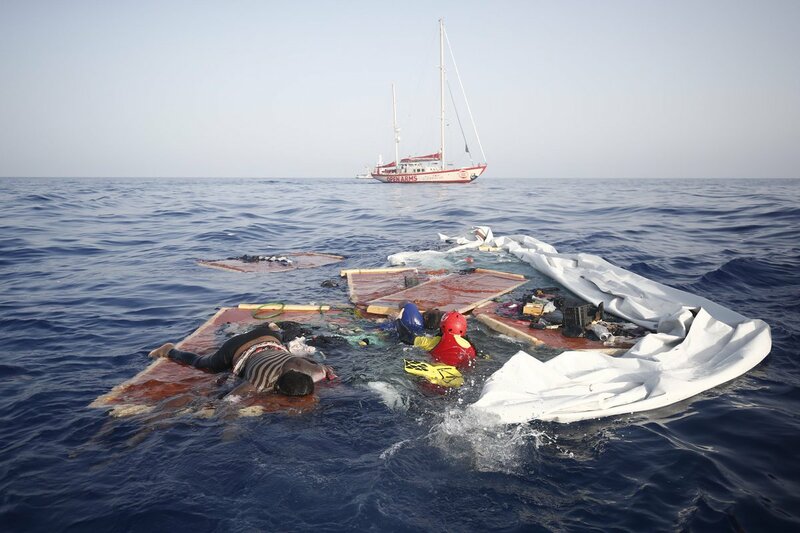 A new episode of the accusations saga between the Libyan coastguards and Spanish Proactiva Open Arms NGO began Tuesday as the NGO accused Libyan coastguards of leaving a woman and a child die onboard a boat of immigrants in the sea. The head of Proactiva Open Arms, Òscar Camps, said on Twitter the two women and the toddler had refused to board the Libyan vessels with the rest of the intercepted group and were abandoned in the sea after the coastguard destroyed their boat. “This is the direct consequence of contracting armed militias to make the rest of Europe believe that Libya is a state, a government and a safe country. The blame for this crime falls on Matteo Salvini’s policies.” Camps added. The Libyan coastguards denied the “allegations of the Spanish NGO” saying the Libyan personnel carried out their mission professionally as per the internationals standards, adding that there was a German journalist onboard with the Libyan coastguards and saw the whole incident and she will publish a report on N-TV channel of German RTL. Navy Spokesman Ayoub Qassim, said in a statement yesterday that they rescued so far in recent years over 80.000 migrants with shortages of equipment, adding that it is contrary to the Libyan coastguards’ morals and work ethics to play with people’s lives as the navy personnel went to see for the purpose of rescue not otherwise. Italian news agency Aki reported Italian Interior Ministry as saying that Open Arms’ story is “fake news” and there will be a third party’s narration of the story published to deny the NGO’s fabrication. “We have recovered a child’s body and rescued 165 immigrants off Garabulli shores on Tuesday. They were on a dingy and remained in the sea for 60 hours without food or water, leaving many of them with sunburns and other troubles.” Qassim said. 34 women and 12 children were among the African and Arab as well Asian immigrants, Qassim added, saying they were taken to Tajoura migration detention center.